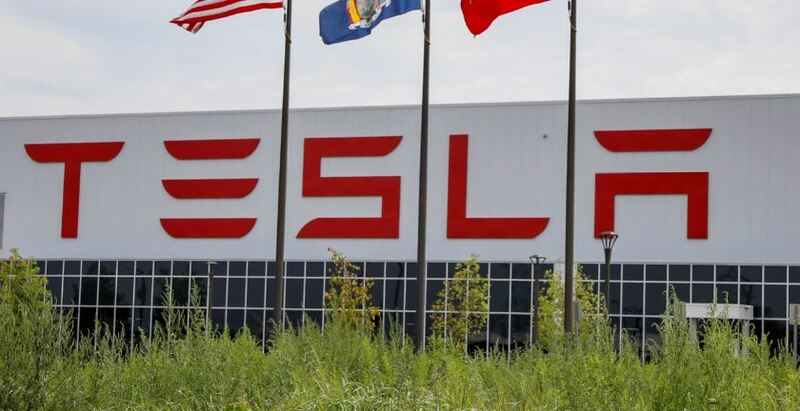 Tesla and other car companies that sell electric vehicles in China are sending information about the precise location and whereabouts of citizens to the Chinese government, The Associated Press reported Thursday. Volkswagen, Tesla, BMW, Daimler, Ford, and GM are among 200 companies transmitting position information and other data to government-backed monitoring centers, the report notes. The information is regularly cobbled and delivered without citizen’s knowledge. The data is stored at China’s Shanghai Electric Vehicle Public Data Collecting, Monitoring and Research Center, which sits in a large tower in the Jiading district. The center contains a room with an enormous wall with green dots flashing, each representing a single vehicle traveling through China’s streets on a map that some believe could reveal where people work and live. “We can provide a lot of data from consumers to the government to help them improve policy and planning,” Ding Xiaohua, deputy director of the center, a nonprofit group with deep connections to the government, told reporters. But critics believe the communist country’s actions are another example of Chinese President Xi Jinping’s willingness to use big data to keep tabs on citizens. “You’re learning a lot about people’s day-to-day activities and that becomes part of what I call ubiquitous surveillance, where pretty much everything that you do is being recorded and saved and potentially can be used in order to affect your life and your freedom,” Michael Chertoff, who served as secretary of the U.S. Department of Homeland Security during the Bush-era, told reporters. Government watchdogs believe the technique provides China another arrow in its quiver to eliminate dissent. Tesla has done its level-best to make inroads in China, including working to build a massive factory in the country. The Silicon Valley company sells cars in China but under restrictions. Every car is slapped with a 25 percent import tax, dramatically increasing the car’s price. A Tesla Model X made in the U.S. and shipped to China, for instance, costs about $132,000, allowing local electric car makers to freeze CEO Elon Musk out of the communist nation. China has the world’s largest electric vehicle market. Chinese automakers produced nearly 680,000 all-electric cars, buses and trucks in 2017 — more than the rest of the world combined. Their dominance in the market is due to China’s generous subsidies to green energy companies. But The AP report also comes on the heels of President Donald Trump’s decision to ratchet up a brutal tariff war against China. Tesla has not yet responded to The Daily Caller News Foundation’s request for comment.